In the past two years he’s replaced seven of Carnival’s nine cruise line heads. Four are now women, one is black, and one gay, a big change in a business that was an offshoot of the European, male dominated shipping industry. [Carnival Chief Executive Officer Arnold] Donald, who is black, says his strategy is to create an environment where differing opinions are heard and taken seriously, or as he puts it, “diversity of thinking.” “I guarantee if you get a diverse group of people aligned around a common objective with a process to work together, they will out engineer, out-solution a homogeneous team 90 percent of the time …” he says. So far he’s succeeding financially. 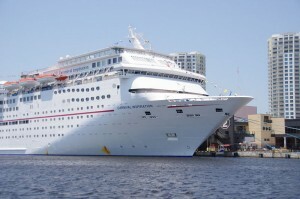 Carnival’s net income rose 15 percent …. Its share price is up 53 percent since he became CEO. Carnival Rocks The Boat, Bloomberg Businessweek, Nov 16, 2015. I once found myself scolding a senior employee who had told a junior employee not to argue with me, the boss. I had to explain to him that I wanted to hear other ideas and concerns. I wanted people to argue with me so we could ensure we were all on a good path, and were all together. We don’t necessarily need to replace people as much as we need to encourage ideas and initiatives. Not everyone needs to be presenting new ideas all the time, but over time we should see that just about everyone has an idea or two that we can use to help us to improve. We need people to be more themselves and less trying to be like others in an attempt to fit in or be successful. My experience is that we already have a lot of diversity with the team we have right now, once we free them from the corporate culture encouraged uniformity. What are you doing to encourage and grow innovation sparking diversity in your team? «Is Our Product Direction Driverless?